The Careers in Motion Networking Fair supports the transportation community’s efforts to build awareness of and expand the transportation workforce. 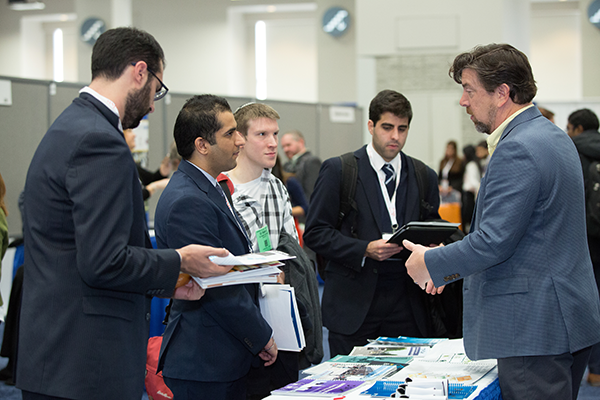 It will be held during the 2019 TRB Annual Meeting and will provide an opportunity for prospective employers from a wide range of sectors and modes to meet with transportation professionals interested in working for their organizations. The event attendees are meeting registrants who span career levels from seasoned executives to recent graduates. Hiring managers will be onsite and ready to offer career information and advice. The Networking Fair is just part of TRB’s “Careers in Motion” initiative, which supports the mission of TRB’s Diversity and Inclusion Task Force—to facilitate making diverse and inclusive involvement a core value for TRB staff, volunteers, contract awardees, projects, and the transportation communities that TRB serves. Put your organization's job opportunities in front of thousands of engineers, policy makers, administrators, practitioners, researchers, and representatives of government, industry, and academic institutions by reserving your table today! Employers will be listed in the Annual Meeting App and onsite marketing materials. The full rules related to participation in the Careers in Motion Networking Fair are available in the Terms and Conditions. Table Cost: $1,250 ($1,050 for Annual Meeting exhibitor, patron, sponsor, and Global Affiliate).